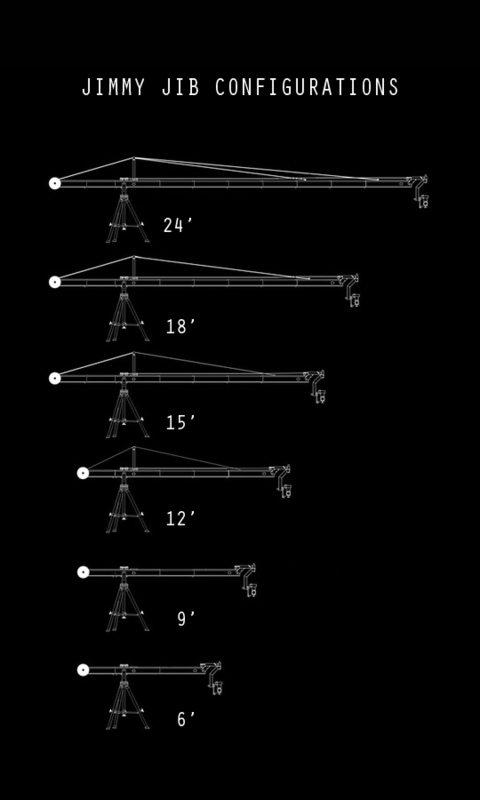 The Jimmy Jib Triangle is the go-to industry standard for professional jib equipment. 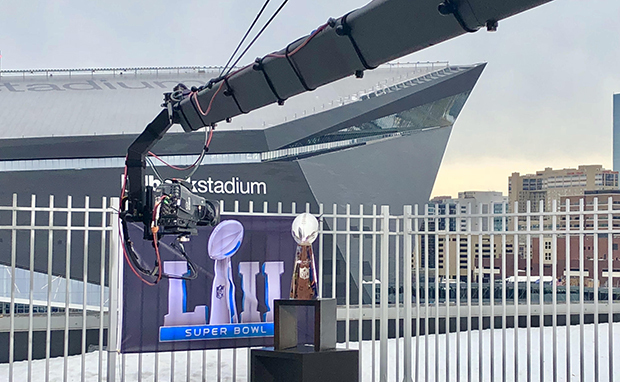 Its modular construction and reliable operation make it the first choice for live events, broadcast productions, commercials, films, sports, and more. Jib packages are specified by arm reach: the distance from the tripod fulcrum to the camera. Richter Picture Company provides packages up to a 24’ arm reach. Every Jib package includes the jib arm, tripod base, studio dolly, HD operator monitor, remote head, and lens controls. Lens controls are calibrated for Fujinon & Canon broadcast lenses, and adapters for cinema lenses are available. Single-camera or non-broadcast productions should provide the proper remote equipment, lens control, and proprietary accessories for their chosen camera. Vehicle parking should be provided as close as possible to the set. Level access is required between vehicle parking and the set. Parking permits should be provided in advance, if required. Load-in times vary widely and are directly related to the ease or difficulty of parking and access. The jib needs to be located on a hard, level surface with a clear footprint as specified below. Operator platforms must be provided when working on sloped, uneven or soft surfaces. 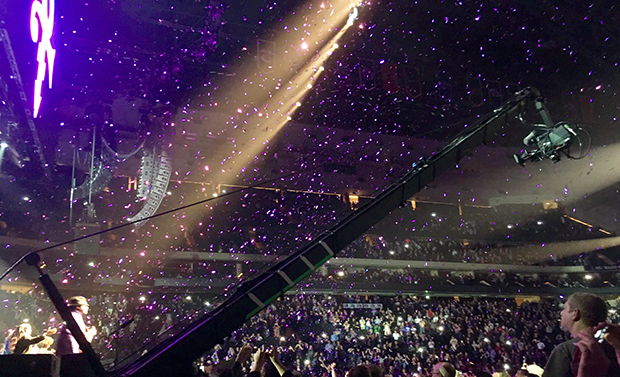 Crowd barriers must provided when there are bystanders or other non-production personnel within the operating radius of the jib, and a safe area should be provided to let down the jib arm for regular operation and in the event of an equipment malfunction. 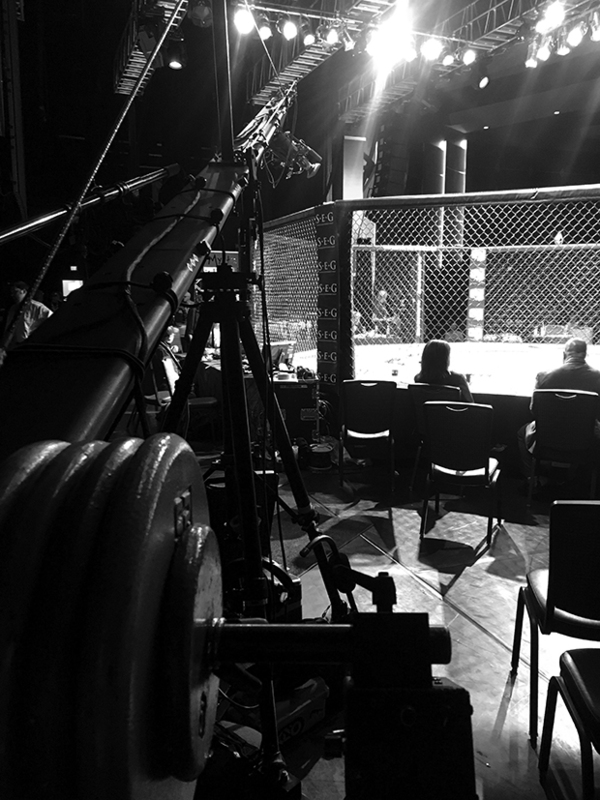 Once load-in is complete, please allow up to 2 hours for the setup and site testing of the jib and all components, including the camera, lens, and any third-party accessories. 120 volt AC power must be provided to the jib base. Allow up to 2 hours for complete tear-down and load-out. The operator rate is $800 per day (up to 10 hours). Certain packages, locations or other factors may require a jib assistant at $400 per day.